Black Eyed Peas, Ciara feat. Missy Elliot, Rihanna, Britney Spears, The Pussycat Dolls and more. 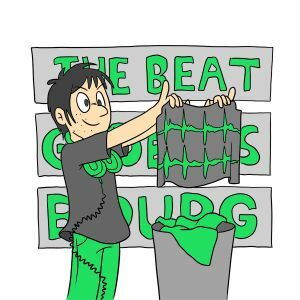 A megamix from my first ever radio show, which was called The Beat Goes Bourg and aired online and at the campus radio station where I was studying, back in 2006. This show covered music from all ages, from the 1980&apos;s to today&apos;s music (up to 2006, obviously) so it was a bit like a box of chocolate, you never knew what you were going to get! This mix uses popular tracks that were popular at the moment of the making, in remixed House form. If you used to go out in clubs and discotheques in early 2006, you might recognize some of these! Thanks for listening to another DJ Bourg Production! I will upload more of these rare mixes in the days to come, so stay tuned!